IEEE Signal Processing Society Questions and Answers on IEEE SPS Topic "Signal Processing is the Science behind our digital life." My name is Junt Hoong Chan, a volunteer with the IEEE SPS on the topic : "Signal processing is the science behind our digital life". I am able to support on questions and solutions for the IEEE SPS topic on " Signal Processing is the science behind our digital life". My website is http://engineeeringcomputerworks.com and my blog is http://engineeeringcomputerworks.com/blog . Thank you, visitors and friends of the IEEE and IEEE Signal Processing Society. 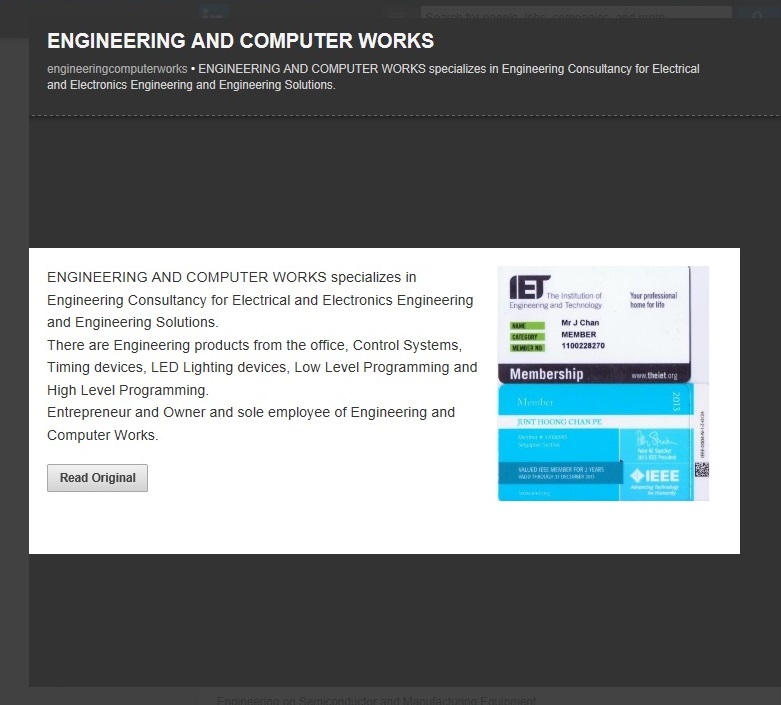 Freelance Programming Available from chanjunthoong@theiet.org or chan_junt_hoong@ieee.org. Please contact with details on the Contact Page. EngineeeringComputerWorks.com is offering to upgrade the Computer System to Original Microsoft Windows 10 Home Edition, Original Micro﻿soft Windows 8 Home Edition, or Original Microsoft Windows 7 Home or Microsoft Windows 7 Ultimate Edition with every Freelance program from EngineeeringComputerWorks.com.